Apple ID is needed in order to use certain Apple services in an iDevice. If for some reason your Apple ID got locked, then you will need to unlock it in order to use Apple services. Unlocking Apple ID requires you to change the password. If you don’t have the password, then the process of unlocking could become a little challenging. Is It Possible to Unlock Apple ID without Changing Password? As mentioned above, unlocking Apple ID requires you to change the password. The process is quite easy if you use two-factor authentication. However, if you don’t want to change the password, then the process could become challenging but it is still possible to unlock Apple ID. You can either use a third-party Apple ID unlocking tool for this purpose or you can use Apple’s official account recovery method. Both methods allow you to unlock Apple ID without changing password. Which one you should use depends entirely on your preference. As mentioned above, you can use a reliable third-party Apple ID unlocking tool to unlock Apple ID without changing password. When it comes to such tools, it is highly recommended that you use iMyFone LockWiper. The reason LockWiper is recommended is because it is easy to use, fast, and has various other useful features. 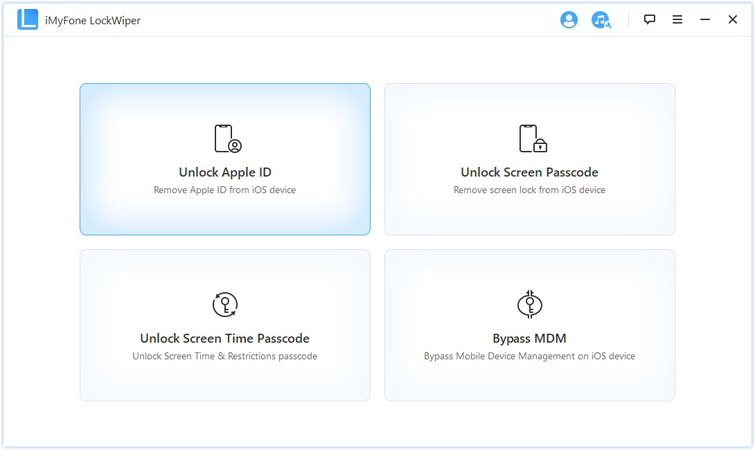 You can use this tool to unlock Apple ID without changing password, bypass various types of iDevice screen locks, as well as remove the Apple ID from any iDevice. Unlock/remove iCloud account as well as Apple ID from any iDevice without providing or changing the password. You can unlock Apple ID via LockWiper even if Find My iPhone is enabled on the device. Remove Apple ID from iDevice even if you don’t remember the password or the previous owner of the device is not present. Bypass/erase 4-digit password, 6-digit password, Touch ID, as well as Face ID via this tool. Almost all iDevice models and iOS firmwares are supported. Step 1: Launch iMyFone LockWiper on your computer. Step 2: Use a compatible USB cable to connect your iDevice to your computer. 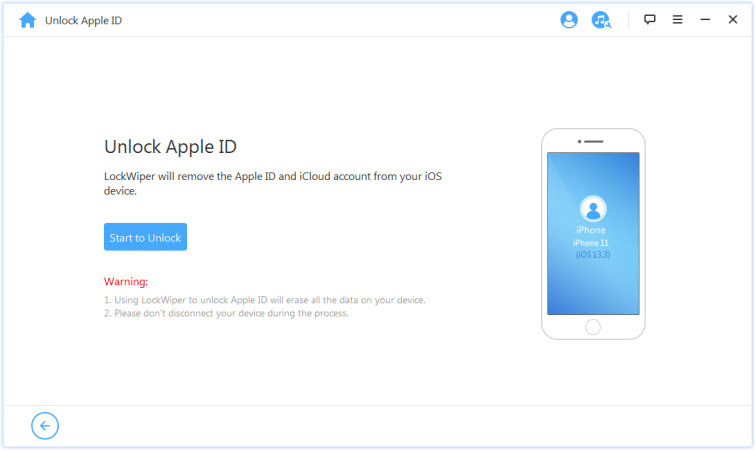 Step 3: From the main interface of LockWiper, click on Unlock Apple ID mode. Step 5: If Find My iPhone feature is disabled on your iDevice, then the unlocking process will start immediately. If the feature is enabled, then you will need to reset all settings on your device first. Account recovery is a process that is designed by Apple to allow you to recover your Apple ID account when you don’t have the password or cannot reset/change the password. Step 1: First, try to reset your forgotten password on any trusted iDevice. You can use the device of your friend or family member for this purpose. It is recommended that you use Find My iPhone app in order to reset the password. 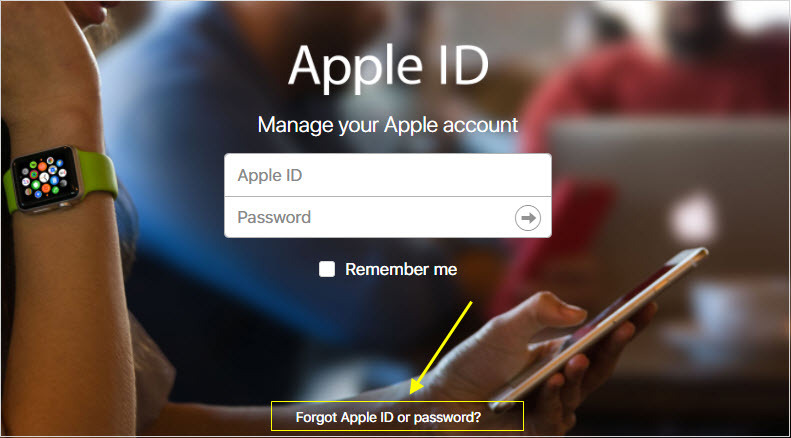 Step 2: Another method to attempt password reset is to visit applied.apple.com on any web browser and then choose Forgot Apple ID or password option. Once you provide the required information, the account recovery waiting period will start. Step 3: After requesting account recovery, you will receive an email confirming your request along with date and time of when you will be able to gain access to your Apple ID. 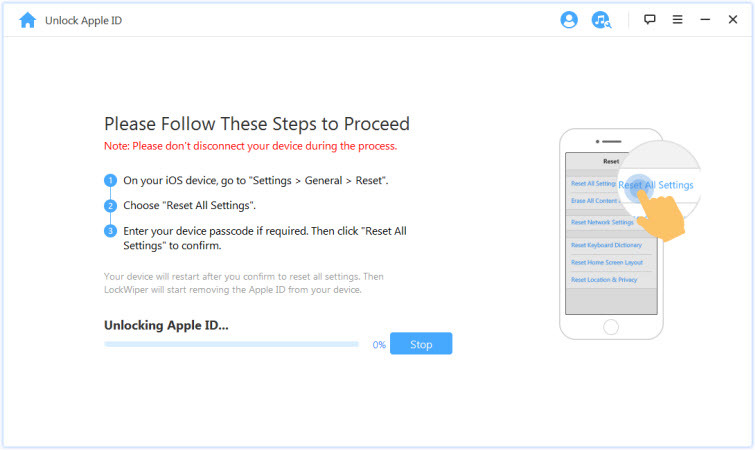 Step 4: Once the waiting period is over, you will receive the instructions to regain access to your Apple ID account. Apple will provide the instructions via automated phone call or text. Simply follow the instructions. If everything goes right, you will regain access to your Apple ID immediately. Getting your Apple ID locked can be a major hassle because unlocking it is often quite challenging, especially if you don’t remember the password and don’t want to reset/change the password. So, it is recommended that you take certain measures to make sure you avoid this issue. Set up two-step verification: This is a foolproof way of protecting your Apple ID. In case your Apple ID gets locked, you can unlock it quickly if you have two-step verification enabled. Use a password manager: If you are worried that you will forget the password, then it is recommended that you use a password manager. Not only does it make it easier to manage passwords, it allows keeps your passwords securely stored for you in case you ever forget them.